The holidays have come and gone, but winter weather is here to stay for a while. What to do while you’re cooped up inside? Why, stitch, of course! 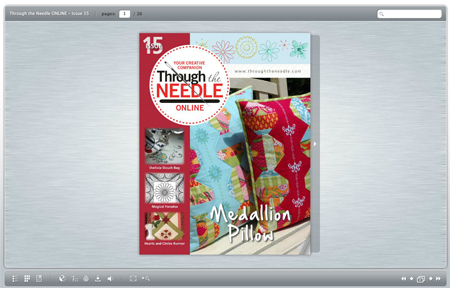 To keep you entertained, we’ve collected a variety of fun projects in the new issue of Through the Needle ONLINE. Cheery patchwork pillows and a cute owl-embellished bag are reminders that spring is just around the corner. 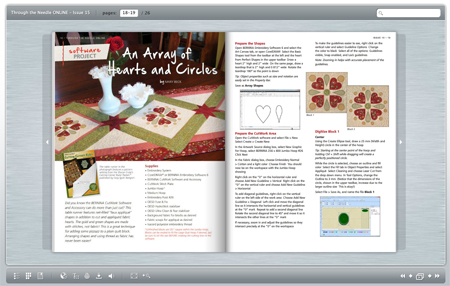 Valentine’s Day is only weeks away, and we’ve included a pretty heart ornament and a heart-and-circle-appliqued table runner to make for a special someone (or yourself!). 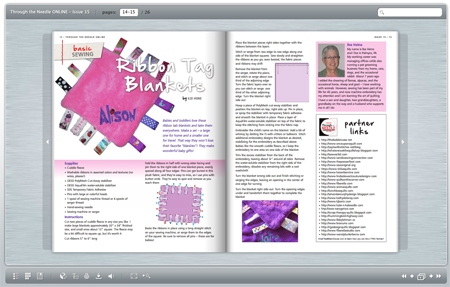 An adorable ribbon tag blanket makes a wonderful gift for babies and toddlers. 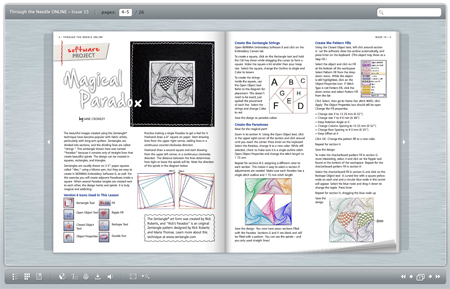 Zentangles – created using embroidery software! 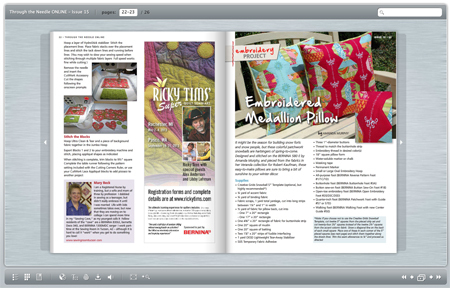 – are used to digitize intricate stitched artwork. 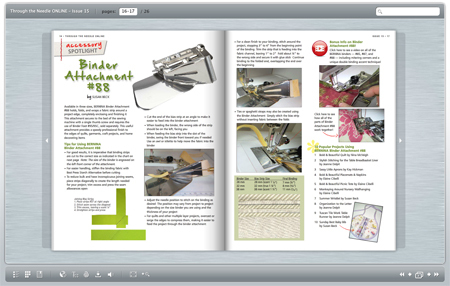 And an article on our new Binder Attachment #88 shows how easy it is to use one of my favorite accessories! 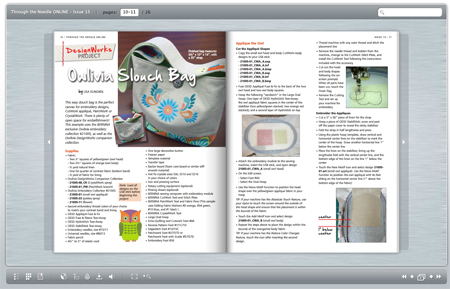 Visit us at the BERNINA USA website – just click on THROUGH THE NEEDLE at the top of the screen – where you’ll also find an archive of issues #1-14. 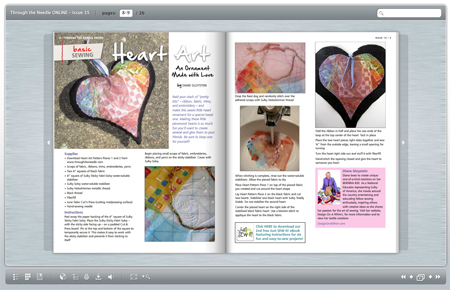 Subscribe to receive a link every time a new issue is published!